Abdul Taib Mahmud himself is a multi-billionaire. Given that his only income is as a public servant, there has been widespread speculation that the Sarawak governor is one of the world’s most accomplished kleptocrats, allegedly siphoning billions of dollars from the timber trade. The Malaysian Anti-Corruption Commission (MACC) probed Taib’s wealth before the current prime minister, Pakatan Harapan, came to power. The investigation lapsed, largely due to lack of political will. But now Kelvin Yii, a member of parliament in Bandar Kuching, Sarawak, is asking that the MACC release its findings. 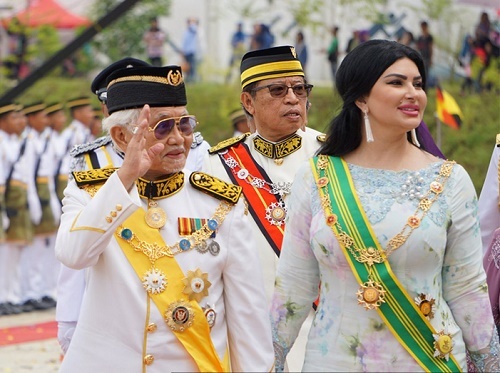 There have also been calls from numerous sources within Malaysia for Taib Mahmud to declare his assets. This follows on the unprecedented move on the part of the new Malaysian government to charge former Prime Minister Najib Razak with money laundering. During Abdul Taib Mahmud’s multi-decade tenure, over 90% of the rainforest in Sarawak was decimated, with the local population left in poverty. Coincidentally, during this timeline Jamilah Taib and her Canadian husband, Sean Murray, also miraculously built a real estate empire in Canada and the United Kingdom worth many hundreds of millions of dollars. To this day the Ottawa socialites, who are active in political and philanthropic circles, sit atop a dizzying array of real estate assets, including Ridgeford Properties and W1 Developments in London, England. To date, no rational explanation has been provided as to how a real estate juggernaut of this magnitude could have grown organically. However, a report by the Swiss NGO Bruno Manser Funds titled Safe Haven Canada has provided detailed evidence of close financial links of Sakto Corporation to Taib family interests. Wherever the funds came from, over the next few years they helped Sakto build an impressive portfolio, mostly in residential properties. 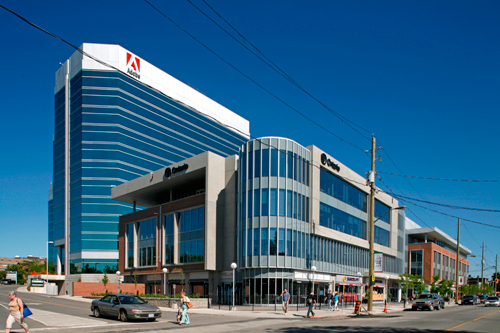 Then, starting in the late 1980s, Sakto shifted gears to focus on commercial real estate, specifically the construction of four large buildings at Preston Square in Ottawa, which were completed in four phases between 1988 and 2007, for a cumulative value of over $146 million. Sean Murray’s ambitions soon outgrew Ottawa. The real estate whiz kid was on the hunt for a more lucrative market, a place where big, incomprehensible investments would hardly raise an eyebrow. He found it in one of the most expensive places on the planet to set up shop. In 1996 Ridgeford Properties was established by Sean and his cousin Chris Murray in London, England, a city where vast fortunes are regularly laundered in an inflated, recession-proof real estate market. But this jaw-dropping growth didn’t escape scrutiny. The media inquired as to Ridgeford’s ownership structure. The result was a story that changed – and still doesn’t add up. First, Christopher Murray on his personal Wikipedia entry falsely stated that “Ridgeford is the sister company to the Murray family’s property company, Sakto Corporation, which started out in Ottawa”. He repeated this claim in an interview with Sarawak Report. However, Sakto isn’t and never was a “Murray family property”, insofar as the Murray family apparently neither invested money nor controlled the share structure of the firm. On his blog, which has since been taken down, Sean Murray also claimed that Ridgeford was an autonomous Murray-owned business, writing that the UK enterprise was “owned by Sean Murray (Chairman) and Chris Murray (Managing Director)”. However, Ridgeford appears to have had limited capital investment on the part of the Murrays, despite their ownership claims. Why this mysterious and contradictory story? Sean and Christopher’s fathers were brothers, and successful architects in Ottawa. But they didn’t have that kind of money. The simple answer appears to be that the majority-stake owners – whoever they are – would rather not be identified. But bucketloads of money are coming from somewhere. Over the past two decades Ridgeford’s portfolio has exploded. 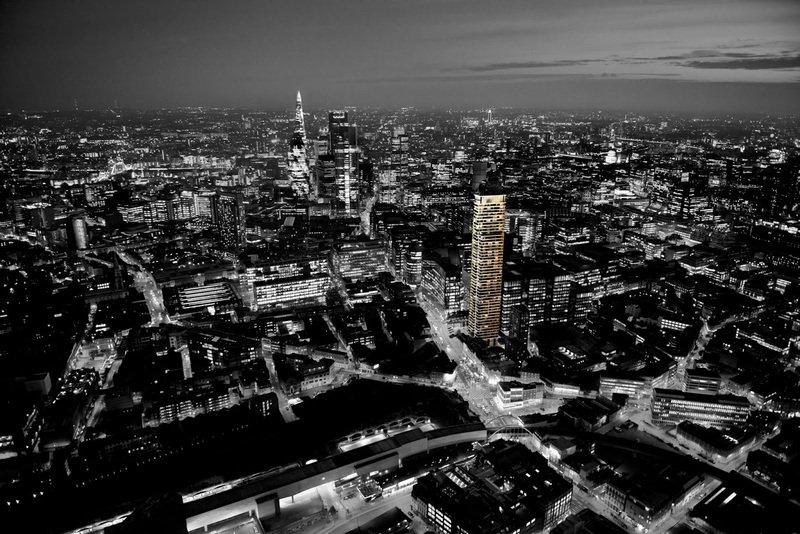 It now includes the only “newbuild whole city-block development opportunity in Marylebone, W1.” The value of this 0.75 acre lot in downtown London is astronomical. It is mathematically impossible for it to have been financed by profits generated by Sakto’s investments in Ottawa. 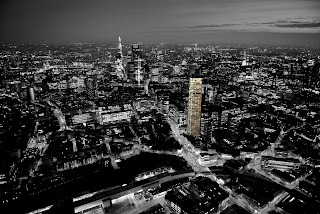 Just as difficult to explain is W1 Developments, which is now building a 50-storey tower in London. The company was founded in 2013, with Christopher Murray referring to himself as the sole founder and managing director. 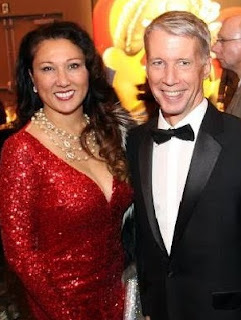 Given that Sean and Christopher Murray have no independent access to such abundant sources of capital, and given Jamilah’s status as the eldest daughter of a PEP, it’s possible that the Murrays are fronting ownership for politically exposed “ghost” investors who are putting up the money and assuming a majority stake. This would make sense, given that Ridgeford Properties has received £17 million in unsecured loans from an offshore trust in the British Virgin Islands named Tess Investments Ltd. This is, in fact, how the ownership of Sakto itself functions. Though Sean Murray is President and CEO, it is his wife Jamilah Taib who acts as Chairman, and who is the major shareholder and true owner. Ownership is a critical factor here, and it is why Jamilah Taib, as the daughter of a Politically Exposed Person, would be of interest to law enforcement officials investigating money laundering. To date, efforts by the Canadian government, including law enforcement, have been stymied by the lack of cooperation from Malaysia: it’s clear that nothing will happen without movement on the part of Malaysian authorities. But now it also appears that Abdul Taib Mahmud and his family are about to lose their political cover. If Malaysia does act, Canadian law enforcement would then be in a position to investigate and potentially answer many questions with regard to the extent of the wealth transfer from Abdul Taib Mahmud to his daughter Jamilah. In Canada and elsewhere, the law doesn’t allow for public access to the financial data of private corporations. As a result, a legal challenge by Bruno Manser Funds to seek financial records from RBC, TD Bank, Manulife Financial, and Deloitte – all of whom have done business with Sakto Corporation – was thrown out of an Ontario court in February of this year. However, the judge in his dismissal didn’t weigh in on the allegations themselves, which have not been tested in court – the decision only referenced the proposed disclosure order. The court challenge itself was odd, given that Abdul Taib Mahmud and his daughter Jamilah have not been found guilty of any crimes. But it did have one important purpose, in that it allowed Bruno Manser Funds to introduce hundreds of pages of evidence, which is now part of the public record. And that record is devastating. It establishes how ludicrous it is to believe that Jamilah Taib – a graduate of Algonquin College of Applied Arts and Technology in Ottawa who, it would appear, has never been employed by anyone other than herself – could create a real estate corporation in a relatively short period of time that had sufficient assets to secure over $100 million in third party loans. These include $8.2 million from the Toronto Dominion Bank (1986), $20 million from the Royal Bank of Canada (1989-95), and $73 million from Manulife (since 2003). Assuming that Sakto was initially financed by the PEP Abdul Taib Mahmud, as he himself has admitted, the question remains: how much money came to Canada to support his daughter’s real estate venture, and what was its origin? To date, there has been limited action to ascertain whether or not profiteering off of environmental devastation and human suffering has helped fuel Sakto’s remarkable growth. But judging by the changes afoot in Malaysia, it looks like that may soon change. However, as of June 17, 2017, things have changed. The Proceeds of Crime (Money Laundering) and Terrorist Financing Regulations (PCMLTFR) have put in place much higher expectations when it comes to monitoring high risk clients such as the family members of politically exposed persons. It is critical to consider family members or close associates of PEPs and HIOs as part of your PCMLTFA obligations. It is an established trend that criminals carrying out, or directing, criminal activity will distance themselves from the proceeds of that crime as much as possible until they have laundered the money. FINTRAC [e.g. Financial Transactions and Reports Analysis Centre of Canada] has observed that many criminals rely on family members or other personal relationships to conduct transactions on their behalf in order to create this distance until they can establish a safe way to spend these assets. On a periodic basis you must take reasonable measures to determine if an existing account holder is a foreign PEP, a domestic PEP, a HIO, a family member of one of these people, or a close associate of a foreign PEP. Which is to say that Jamilah Taib is on the radar as never before. According to the PCMLTFR, “Foreign PEPs, their family members and their close associates must automatically be treated as high-risk clients.” Jamilah Taib and Sakto Corporation are therefore now subject to the policies and procedures for high-risk clients, including a risk assessment. PCMLTFA obligations are also clear that, when dealing with the family member of a PEP, measures need to be taken to establish the source of the funds deposited or expected to be deposited into an account. Senior management approval is also required in order to keep an account open. As well, the PCMLTFR regulations now flag electronic fun transfers (EFTs) of $100,000 or more. In effect, FINTRAC requires that all EFTs of $100,000 or more to or from Jamilah Taib, or entities controlled by her, are to be monitored. That said, it’s unclear whether or not her husband, Sean Murray, or other members of the Murray family, would be considered high risk clients and subject to the Regulations. Ashbury alumnus and son of Taib Mahmud ordered to pay $9.4 million to ex wife (October 16, 2018). Malaysian fugitive Jho Low takes a leaf from Jamilah Taib’s playbook (September 17, 2018).